As spring 2013 trend, drop waist dress / skirt has been carried into the fall! Dropwaist skirt conceal a little bit of extra in the rare while elongate our legs! In cooler days, I will pair them with ankle boots or wedge sneakers... Here are couple cool drop waist skirts I love to have them in my closet! 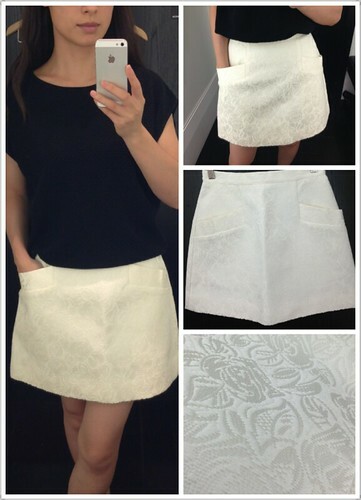 Also love this white A-line skirt, by Club Monaco, here! Very decent texture (thick and beautiful luster) and fits perfectly. Personally I like CM cut better than J.Crew's. It is true to size. Never follow trend. Buy something timeless. I like your dress but not shoes.